Mendota Pet Training Collar: Chestnut, 1" x 18"
* As a slip collar, it tightens when your dog pulls and loosens when he responds to your correction. * This collar can also be used as a rolled collar with a floating ring for lead attachment. 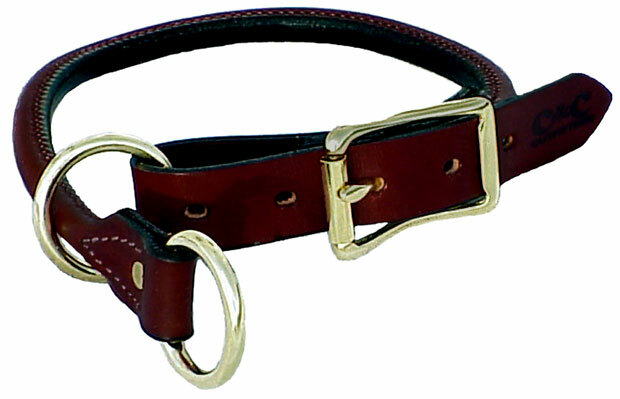 * 1" wide with roller buckle, center safety ring and slip ling. 18" x 1" x 0.1"